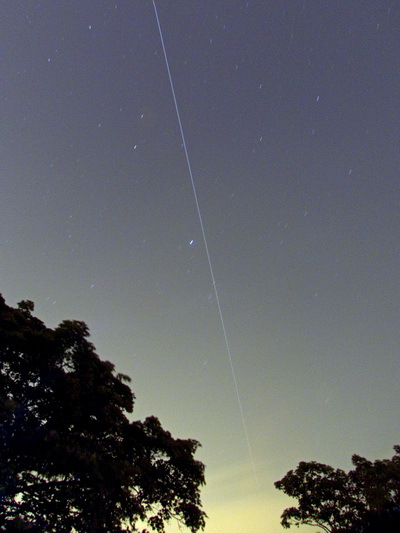 Another ISS long exposure capture, this is from two nights ago. The brightness on the bottom of the frame is a combination of some clouds and my balcony lighting which I neglected to turn off, but it made for a nice effect with the station fading into it. This was again a two and a half minute exposure.